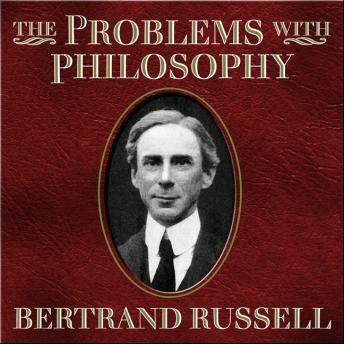 The Problems of Philosophy' discusses Bertrand Russell's views on philosophy and the problems that arise in the field. Russell's views focus on knowledge rather than the metaphysical realm of philosophy. 'The Problems with Philosophy' revolves around the central question that Russell asks in his opening line of Chapter 1 - Is there any knowledge in the world which is so certain that no reasonable man could doubt it? He examines this question by delving into the idea of reality versus appearance, as for Russell and other philosophers who share his ideas it is sensory perception of the world around them that shapes their knowledge. It is in this work that he discusses his idea of sense-data to help explain the differences between appearance and reality. 'The Problems of Philosophy' is Russell's first attempt at recording and working through a theory of epistemology, which is the theory of the nature of human knowledge.